Each child is special, and each one has his or her interests. For one child, it might be dinosaurs that rock their world and or another it may be a unicorn that sparks her interest. Often your child will show their individuality in their bedrooms, from wall canvas prints to bedding and even pyjamas. So why not help your child express their personality and passions in the decor of their bedroom? It’s important to pay attention to your child’s interest – do they love animals? If they’re a cat lover, then you can help them deck out their room in true feline fashion with a personalised cat blanket or a customised cat pillow case. The next step is to find practical ways of implementing their dream room. Of course, you need to be practical while being playful at the same time – but who says you can’t do both? 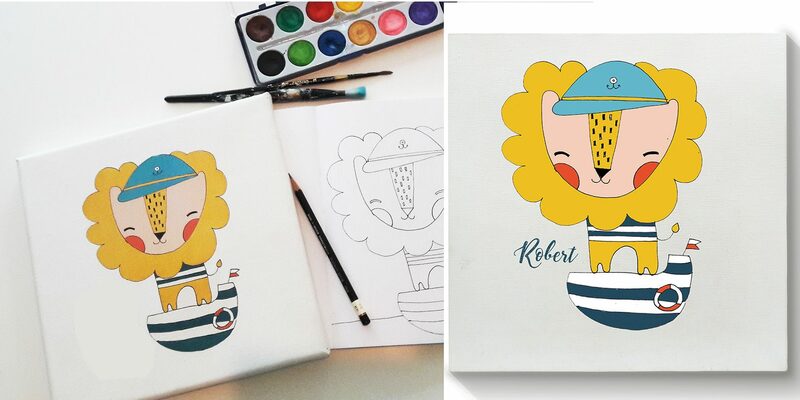 Every wall needs a nice decor, so if your little boy or girl loves koala, then complete the look with a customised koala pillow case or canvas. Also, those walls were made for dressing, so put up a blue little fox canvas for any kid who simply loves these fantastical creatures! Decorating your kid’s bedroom wall is an important part of bringing the room to life, since it’s those small details that count. Whether you choose to put up a special printed wall paper or go simple with a unique, customized wall print or picture.